Young female singers are called "mousy'? Ugh! 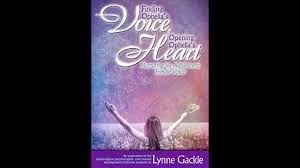 Purchase the book "Finding Ophelia's Voice, Opening Ophelia's Heart" by Lynne Gackle. It is full of brilliant insights into the female adolescent voice and psyche. This is required reading. 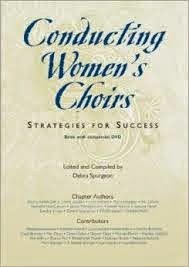 The other required reading is "Conducting Women's Choirs", edited and compiled by Debra Spurgeon. There are chapters on an amazing breadth of topics by many great contributors (essentially a who's-who of the women's choir movement over the last 25 years- but especially for this subject please read the sections by Sandra Snow and Sandra Peter) which are invaluable resources for anyone who directs women either in an SSAA type ensemble or within an SATB ensemble. The Spurgeon book also contains Lori Hetzel's U of Kentucky choir in a DVD demo of all sorts of important vocal issues, plus vocalise/warmup issues. Buy these two books and sit down with them for a week or two. They are both worth it to anyone in our profession. And let's drop the term "mousy", please! 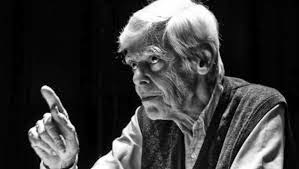 Back when I was a college student at the University of Illinois and Yale (and by back, I mean WAY BACK) one of my heroes was the amazing recorder player Frans Brüggen. In addition to my serious studies I had also picked up the recorder (mostly alto and sop) and it was so relaxing just to learn some little Baroque tunes (God how I loved Marin Mareis' lithe melodies) on it when I had some free time. I wasn't that good or that bad, but I certainly knew what the biggest challenges were to playing the instrument well, so every time I heard Brüggen he absolutely floored me. It wasn't necessarily the virtuosity of a flurry of 16th notes, but his amazing expressiveness- he always knew how to take a phrase and unwrap its innermost emotions, its nuances, its semiotic meaning which cannot be put into actual words. Frans Brüggen, a Dutch pioneer of the early music movement, a co-founder and conductor of the influential Orchestra of the 18th Century, and a virtuoso recorder player who in his youth became (literally) a poster boy for the instrument, died on Aug. 13 in Amsterdam. He was 79. 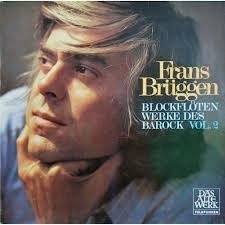 His death was confirmed by Sieuwert A. Verster, who founded the ensemble with Mr. Brüggen in 1981. Their period instrument orchestra was one of the first ensembles to adopt a historically informed method of performance, in which the lush sound, vibrato-heavy string playing and sometimes ponderous tempos that were then standard were abandoned for a buoyant, leaner sound with less vibrato. Unlike other period ensembles, the Orchestra of the 18th Century has not strayed too far from its original focus; it has ventured into Mendelssohn, Schubert and Chopin, but not later romantics like Brahms.Mr. Brüggen had a particular affinity for conducting Beethoven, releasing two recordings of the complete symphonies and leading the “Eroica” Symphony more than 100 times. The orchestra (a part-time group that tours several times a year and regularly releases recordings) was founded with an unusually egalitarian pay plan. After expenses, profits are divided equally among musicians and conductor.The orchestra recruits its members through word of mouth and never holds auditions. “We are a bit like the Rolling Stones,” Mr. Verster said in a phone interview, “always the same people.” The orchestra intends to continue to perform with guest conductors, he added. As a guest conductor himself, Mr. Brüggen worked with both Baroque and modern ensembles, including the London-based Orchestra of the Age of Enlightenment, the Amsterdam-based Royal Concertgebouw Orchestra, the Vienna Philharmonic and the Chicago Symphony Orchestra — bringing a period practice aesthetic to his interpretations. Mr. Brüggen had a rebellious streak and appreciated counterculture movements, both in and out of musical circles. In 1969 he supported what became known as the “Notenkrakers” (“Nutcrackers”) action, in which conservatory students and composers, unhappy with the Concertgebouw Orchestra’s conservative programming and what they saw as its elitism, disrupted a performance in Amsterdam with noisemakers and a megaphone. Mr. Brüggen, who in 1972 founded an avant-garde recorder trio called Sour Cream, began his career as a recorder soloist and chamber musician. He elevated the instrument to star status with his brilliant, idiosyncratic approach. Some early albums came along with a poster of him, a tousle-haired young virtuoso. Continue reading the main storyHis performances were physically and aesthetically distinctive: He played while sitting cross-legged and infused his interpretations with a flexible rubato that rendered the music sensually expressive.Early video recordings highlight his beautiful tone, remarkable technique and soulful artistry, often heard in collaboration with eminent musicians like the Dutch keyboard player and conductor Gustav Leonhardt. Mr. Brüggen, who also played the flute professionally, played a wide range of repertoire and became a champion of contemporary composers; Luciano Berio and Louis Andriessen were among those who dedicated works to him. He performed as recorder soloist with his orchestra in its early days but stopped after his 50th birthday. Franciscus Jozef Brüggen was born in Amsterdam on Oct. 30, 1934, the youngest of nine children of August Brüggen, who owned a textile factory, and the former Johanna Verkley, an amateur singer. He studied recorder and flute at the Amsterdam Conservatory and musicology at the University of Amsterdam. At 21 he became a professor of Baroque music at the Royal Conservatory of The Hague. He was a visiting professor at Harvard University and the University of California, Berkeley. Mr. Brüggen is survived by his wife, Machtelt Israëls, and two daughters from that marriage, Zephyr and Eos, as well as two daughters from a previous marriage, Alicia and Laura, and a grandson. Thanks to my friend Sean Burton, I have been made aware that Iowa ACDA (a very large, forward-thinking and successful ACDA chapter) has created a new Repertoire and Standards position. Connor Koppin, a promising young composer/conductor, has been named as R and S for self-published and independently published music. This is further proof that ACDA is moving more and more toward supporting independent composers and broadcasting awareness of the gradual tilting away from the ancient, traditional publishing model in this country for music. I've written about this quite a bit (in this blog form as well as in give and take on Choralnet) and hosted a very successful interest session on the topic at the national ACDA conference in Dallas about eighteen months ago. In case you missed it, my panel members were Reg Unterseher, Abbie Betinis, Joan Szymko, Buddy James, and Deborah Simpkin-King. Most of our audience stayed a full hour after the session ended (pretty much unheard of at an ACDA conference since there are so many other activities you can trot off to) to ask questions and kick around new ideas- it was a great day! For Iowa ACDA Connor will be focusing on composers who are obviously self-publishing in a professional manner (well-run websites, aiming for healthy relationships and visibility in the choral community, etc) and smallish publishers who are moving away from the old model. These publishers (would they be called niche publishers or not?) are especially becoming more aware of composer copyright issues, new distribution models, more awareness of the need to publicize the "back catalog" and not just hype new releases, and more. Here are a few of the new small, independent, forward-thinking organizations: Independent Music Publishers (or IMP, a great acronym!) which is home to Betinis, Szymko, Davd Moore, and a number of other quality composers, mostly from Minnesota, has already become quite successful. A new organization, Musicspoke, started by Kurt Knecht and Jennifer Rosenblatt, is also arriving on the scene with a great flurry of activity and attracting great attention from quality composers (Coppin himself, Andrea Ramsey, yours truly, and others). Musicspoke especially is on the forefront in regard to copyright issues- they facilitate composer/conductor relations and sell music without taking away the composers' copyright. Bravo to Musispoke for that stance. Also up and coming is Northwest Choral Publishers which is the music of Reg Unterseher, John Muelheisen, and Karen P. Thomas. And there is also See a Dot- a new publisher in NY. As composers and small publishers get together and discuss issues today (see below for some of Connor's thoughts) there is a wide variety of opinion about what is happening now. I think most independent composers truly dislike the old model (sign away your copyright, earn only 10%, have no say on how your music is publicized and what happens to your older pieces) but we accept the fact that the large, older companies who are in business have the right to run their companies any way they like. A number of them are barely staying alive, for one reason or another (the sale price of a typical choral octavo has in no way kept pace with inflation over the last fifty years) and we all are music lovers- I myself have somewhat mellowed out about my feelings toward these larger companies, mostly due to my growing feebleness in old age (haha). We also have a great champion of self-published/niche published music as our executive director of ACDA on the national level- Tim Sharp, whose own recent work Come Away to the Skies: A High Lonesome Bluegrass Mass is published and distributed by his composing partner Wes Ramsey. Here is the full Iowa ACDA announcement. Hey, if you are a state ACDA leadership person maybe your state should be thinking about all this! My name is Connor Koppin and I have been selected to represent ICDA as the R&S Chair for Self/Independent Published works. I am so thrilled to be chairing this entirely new R&S position for ICDA. For so long, composers have turned to traditional publishers and distributors as a means to sell music. We have now come to a turning point in the world of choral publications in which some of these publishers are failing to meet the needs of composers, conductors, and educators; thus, composers are turning toward alternative means of publication, i.e. self publishing and independent publishers. -- Composers often only receive anywhere from 8-10% of profits from each sale, a very small amount. One could imagine it would be nearly impossible to make a living off of such wages. -- When a composer agrees to publish a piece through an outside company, they are fully surrendering all rights to a piece of music; thus, allowing a company to make choices that may not be in said pieces best interest. -- More often than not, publishers and distributors arrive at decisions with solely a monetarily profitable mindset, and no other factors. Therefore, regardless of how brilliant a piece of music may be, if a company decides that it won't sell 5,000 copies a year, they will refuse to publish it. This could ultimately lead to the disintegration of some of the greatest contemporary works, a lack of ability to get the piece "out there". -- Compositions may often be accepted for publication, and then never actually made available for purchase until a significant amount time has passed. For instance, should a publisher find another piece worthy of publication, it will alter it's publication schedule, and suspend publication of another composer's work until a more "convenient" time. These are just a few of the many problems that living composers face when they are contemplating the outcome of a piece. Supporting living composers is one of our most important roles as music educators and in order to do so we must make an effort to turn away from our standard process of selecting repertoire and look toward a new way of buying music. Self and independent publication are methods which better meets the needs of BOTH composers and conductors. However, it is both my fear as well as the organization's, that we as conductors suffer from a lack of knowledge regarding this new age of selling and buying music. This R&S position has been created to enlighten ICDA and its members in regards to directly supporting composers in their efforts to create a more healthy method of business. I am so proud of our ACDA chapter for recognizing the much needed attention to this area of choral music. I am excited to bring some valuable information to you all and hopefully better inform ICDA; keeping us forward-looking and a leading state chapter of ACDA. Connor Koppin (b.1991) is an award-winning composer and conductor of choral music. In 2013 he completed his bachelor of music education degree at Wartburg College where he studied conducting with Lee Nelson. His pieces have been performed across the United States by numerous choral ensembles in collegiate, high school, and liturgical settings. He has had pieces selected for a number of all-state festivals in Iowa, Minnesota, and Wisconsin and currently has music published with both Morning Star Music and ECS publishing. He is currently working at Roland-Story High School in Story City, IA as a Choral Director and serves as the R&S Chair for Self Publishing for ICDA. Hi choral directors! Hope your school year/concert season is off to a smashing start. Are you still looking for "Holiday" repertoire? I've got a number of ideas for you from my catalog- both traditionally published and also published by myself. While I am especially aiming to gain attention for my book of 18 carols for women's voices, please know that if you scroll down you will find some rep for SATB music as well! Some of those pieces below have rental orchestrations which have been very popular with audiences. Last Fall I released "Carols, distinctive arrangements for women's voices", and it was an amazing process to not only research and write the pieces but be my own publisher as well. I had a lot of help from many folks around the country- proofreading, choirs trying out the pieces, etc. It made me really appreciate the talent and the generosity of my musical colleagues. The collection has sold well and was just reviewed very favorably in the August 2014 Choral Journal. Scroll way down to read the review. high school and beyond women's voices, plus also suitable for advanced treble children's choirs. - Some carols have instrumental parts for one or two players (for instance harp, two flutes or other melody instruments, cello, percussion). Instrumental parts can be downloaded by clicking on the title below. If anyone out there with a women's choir or youth advanced treble choir would like a TOTALLY FREE PERUSAL COPY- send me your US or Canada street address and I will get one to you. I think once you examine it, you will agree that it can be a resource you can go to year after year for December programming. Last year a number of the choirs who bought copies did 2,3,4, carols out of the book at their holiday program! Here are some other pieces of mine which might really spice up your December programs. One of my holiday bestsellers is the Hanukkah song "Unending Flame" with a truly nice text (so many Hanukkah texts are awful, I think you will agree). Voicings available are SA or SABar. There is also a rental orchestration for this piece which really makes it pop. I also have a piece with a similar feel to it- my arrangement of “Gabriel's Message”, available in manuscript. Finally, some pieces with brass. First up is “Christmas Bells”, which was commissioned by Edie Copley at N. Arizona University. This is big and festive (yet with a very introspective middle section) for SATB/brass/organ/perc/handbells. This piece is now also fully orchestrated. The other brass piece is not as festive since the text by the brilliant Thomas Merton is generally more reflective- it's called “The Winter's Night Carol”. I don't have a good recording yet of the piece due to miking issues at performances, but I can certainly e-mail you a score if you like! Paul Carey's work as a choral composer and arranger is well acknowledged and valued. His newest publication, Carols…for Women's Voices, takes a significant step in furthering his reputation as a composer for treble and women's voices. Many of Carey's fine and best-selling arrangements and compositions of carols for mixed, children's, men's and women's voices are available through leading publishers such as Oxford University Press, CF Peters, Lorenz, and Roger Dean. Yet, unlike many compilations of works by modern composers and arrangers, this distinctive collection does not contain works available through other sources or as separate folios. Most of the works found in this collection are arrangements of melodies or compositions upon texts from classic manuscripts and various folk sources. Nonetheless, the recastings of these materials in Carey's hand are fresh and distinctive. His "Personant Hodie" (from the Piae Cantiones), for example, retains the familiar tune of the work for the most part but lightens the texture with gavotte-like ritornelli and an unexpected reworking of the melody in 7/8. Other works, such his SSA unaccompanied version of the classic "We Wish You A Merry Christmas", find a different voice through this composer's compositional wit. As these two examples imply, the collection contains both sacred and secular carols. In addition, these two arrangements also exemplify the suitability of some of Carey's arrangements for younger choirs. The title of this collection is somewhat deceiving, for of the eighteen works in this collection, five are entirely new works, penned using familiar texts. The distinctiveness of even these works can be evinced by comparing two texts that both Carey and Benjamin Britten have set: "There is no rose of such virtue" and "Adam Lay ybounden" (perhaps most familiar as the text used for Britten's "Deo Gratias" from A Ceremony of Carols ). The former is richly set with a nearly chantlike solo and responses by duets and a quartet that shimmer with their uses of inversional modal alterations. The latter text is interpreted through completely new musical lenses. The ABAB form of Carey's setting alternates between a haunting, contemplative section and a second, more rhythmically driving section. This compositional choice musically refocuses the text on the apple's theological role, that of emphasizing the praise of the apple's acceptance and its eventual conclusion in the birth of Jesus. These five original works alone make it difficult to overlook this collection, and underscore the fact that these arrangements can also find a home in the repertories of more advanced treble/women's choirs. The quality of these arrangements and the breadth of stylistic variety reflected in this holiday collection for treble voices is nearly unparalleled; for choral ensembles and programs of all types, and for churches with treble ensembles, this fine publication could reasonably be expected to occupy a similar place in holiday/Christmas libraries as the Oxford Book of Carols and Carols for Choirs currently hold. Well edited by Carey and "tested" by various types of treble/women's choruses, this solid collection possesses enough musical gold to fit the needs of many types of choirs, performances, and even educational functions. Why should classical music be there for relaxation? NEW YORK — As an advocate and practitioner of the art form, few tropes cause me greater distress than the old saw that classical music is relaxing. So Sheila Regan's recent article listing "Ten times when classical music can help you relax" got my heart rate going molto piu mosso, let me tell you. 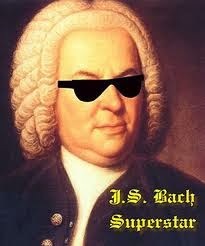 Following Regan's advice, I reached for some Mozart to help settle me down. It didn't work. Because it's not meant to be relaxing. With all due respect, Regan's well-intentioned article widely misses the mark in assessing the value of classical music. The greatest music ever written — and I'm no genre partisan here: I'm talking the St. Matthew Passion, A Love Supreme, Quartet for the End of Time, Abbey Road, Fear of a Black Planet — all of this music exists to fascinate the ear, challenge the mind, and elevate the soul. Not to be "[kept] at a low volume," as Ms. Regan suggests, "to help you drift off to sleep." Want to keep reading? Click here:http://minnesota.publicradio.org/display/web/2014/09/16/classical-music-not-for-relaxing? I am thrilled to share the news release below from the South Dakota Chorale in regard to their fine conductor Brian Schmidt. Bravo, Brian, and I hope you have a most rewarding time in Sweden! 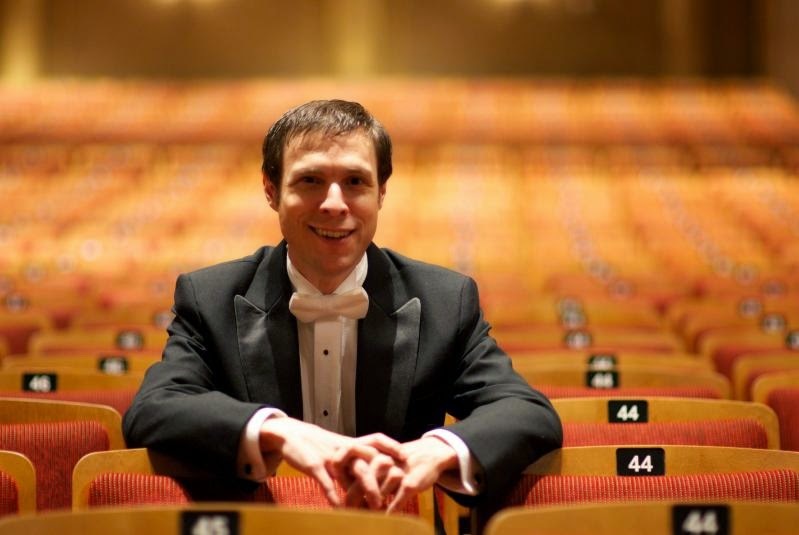 In addition to the Chorale, Brian is also the director of the Duke Vespers Choir at Duke University in Durham, NC. Dr. Brian Schmidt, Artistic Director of the South Dakota Chorale, has been awarded a fellowship with the 2015 International Conductors Exchange Program to Sweden. Selected by the American Choral Directors Association, Dr. Schmidt will be among 14 U.S. conductors to travel to Stockholm, Sweden, in October, for the Scandinavian Choral Convention. As part of this fellowship, Dr. Schmidt will also serve as a host to a delegation of Swedish choral conductors that will attend the 2015 ACDA National Conference next February in Salt Lake City. The South Dakota Chorale is one of the choirs that has been selected to perform at the conference.“I am thrilled to learn more about the incredible Swedish choral tradition and establish lifelong connections with Swedish conductors. This experience will certainly be one that will influence my day to day work and I am eager to share all that I learn with students and singers in the future” says Schmidt. Dr. Brian A. Schmidt, the founding director of The South Dakota Chorale, is a native of New Ulm Minnesota. He completed his undergraduate studies at South Dakota State University. Graduate study was at The University of North Texas where he earned masters and doctoral degrees under the direction of Dr. Richard Sparks and Dr. Jerry McCoy. Dr. Schmidt is currently the Assistant Conductor and Administrative Coordinator of Chapel Music at Duke University Chapel. Under his leadership, the Duke Vespers Ensemble and The South Dakota Chorale have explored the breadth of the choral repertoire, producing performances and recordings that include Buxtehude’s Membri Jesu Nostri, the Duruflé Requiem, and Sven-David Sandström’s Four Songs of Love. He has been a particular proponent of the contemporary Scandinavian and Eastern European choral traditions. More information on Brian Schmidt can be found atwww.brianschmidtmusic.com and www.southdakotachorale.com. Thanks, Universe, for the medicine for my soul! This past Sunday I was walking to go pick up my son who had an afternoon activity at the large Anglican church in town. As I was walking I was assaulted on a regular basis by the mega-thump of car stereos playing rap music, with of course the bass turned up to eleven. It was so ridiculously pervasive block after block that it pretty much sickened me and made me feel very depressed about the lack of interest by the general public in anything other than the crap put out by the rap and pop industry. It’s all about money, of course- if it's crap yet sells, that's all that matters, right? Well I guess classical music, jazz, authentic world music and many other styles don't matter, even though I don't think it takes a rocket scientist to prove the superiority, complexities, and rewards of so many other types of music over and beyond what is popular in the US today. Anyway, this sadness I was feeling as I walked to the church really came over me- and to be honest, I have been a bit down lately anyway. I do suffer from periods of depression and I am not against letting people know that about me. So yeah, I was feeling pretty sucky! And then something more happened! I heard voices singing upstairs- not old, tired church choir voices but truly great professional voices AND a sound I even recognized. I wandered upstairs and lo and behold, the professional choir Chicago A Cappella was rehearsing. They have done a lot of my music over the last ten years, for which I am very thankful. This is not their usual rehearsal space but for today (hmm, interesting) they were there working on some chant and chant-based music for their first concert of the season. I said hi (I saw some new faces and a new face directing for this concert- John William Trotta) and was also happy to introduce myself to the new members, since the group will be singing my Christmas spiritual “Ain' dat-a Rockin' All Night” in December. I left them alone to continue rehearsing some men's parts and had a nice, quick conversation with longtime member Betsy Grizzell. So what was going on here? It's pretty amazing that the universe dropped these two incidents right into my lap in the space of 15 minutes, isn't it? It made me feel so good, so hopeful, and made me want to throw away the depressing thoughts that were invading my space on the walk over to the church. And in fact, I have been pretty down for bits and pieces of this whole summer- I have been trying to shake it off, but with only partial results. Maybe this was a message to me not only about the music that I love, but also about how I need to embrace the positive aspects of life and to more firmly take control of my psyche and put the negative inner-thought monster into the naughty corner! So thank you to the universe, and also JS Bach (you crazy genius you), the dear and very talented organist, WFMT radio, and Chicago A Cappella for your gift to me Sunday!